​ Dammy Krane’s family has released an official statement following his arrest on June 2nd in the US for grand theft, credit card & identification fraud. According to the statement posted by his sister Elizabeth Adeola Oshodi on Facebook, Dammy Krane is innocent and only a victim of cicumstance. How? By declining emergency arrangements that do not give up to 24 to 48 hours to allow you call the airlines and hotels for verifications. Remember to always give the option for promoters or show organizers to buy all bookings and must accompany with the booking profiles : the names used for bookings, and phone numbers must match your designated or named offers, or they will need to send the cash in their verifiable names to your business account. It hurts so bad that fellow Nigerians will do such a damaging act to another, knowing that the repercussions could be so devastating. We are aware of the implications at hand and pray for your faith in our purity, even as we beg for your patience to let the law take its’ course, before jumping into unfair conclusions. We remain humbly grateful for all the innumerable support and overwhelming show of love to his family. 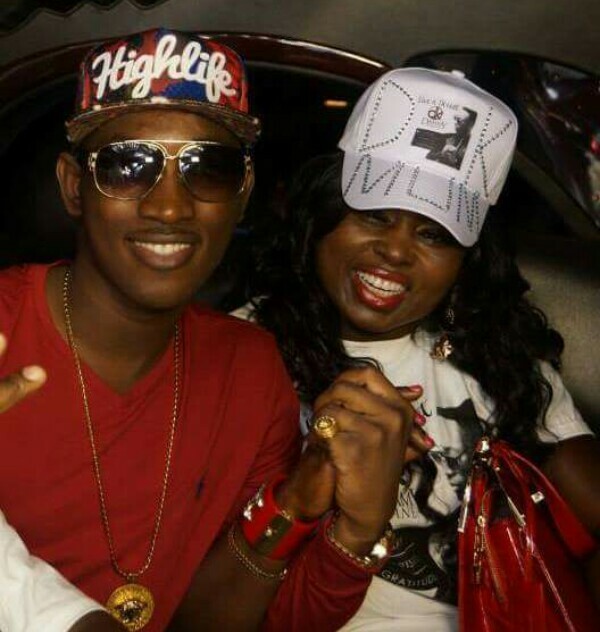 Elizabeth adeola oshodi for Dammy Krane’s family. A report on Punch says an aunt of the singer who spoke on the condition of anonymity said that the other person who he was arrested with – Ilochonwu Chukwuebuka – was the one who paid for the jet using fake/stolen credit cards. “We don’t stay in the same state over here but Dammy came to visit me just last week. I got the news of his detention on the Internet just like everybody else. After making some calls, I was able to confirm that he was indeed arrested. He has been in the US for some time now and he has regularly been booked for shows all across America. The guy he was arrested with had actually booked him for a show this weekend in Miami. And he (Chukwuebuka) was the one that paid for the jet and made hotel reservations with the stolen card details. “You know it is a usual thing for show promoters to book flight tickets for artistes, so one cannot blame Dammy in this situation. A lawyer has already been contacted but unfortunately, Dammy would have to stay in jail till Monday when they would be able to go to court to perfect bail conditions,” the aunt stated.